Gu Kaizhi (顧愷之, ca. 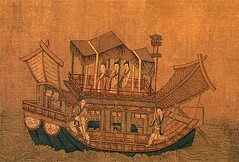 344-406) is a celebrated painter of ancient China. 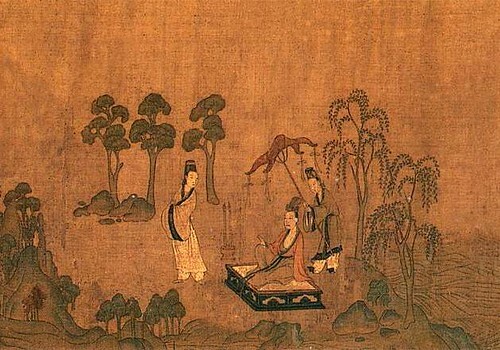 According to historical records he was born in Wuxi, Jiangsu Province and first painted at Nanjing in 364. 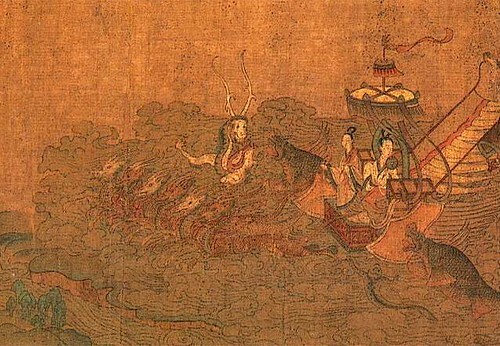 In 366 he became an officer (Da Sima Canjun, 大司馬參軍). 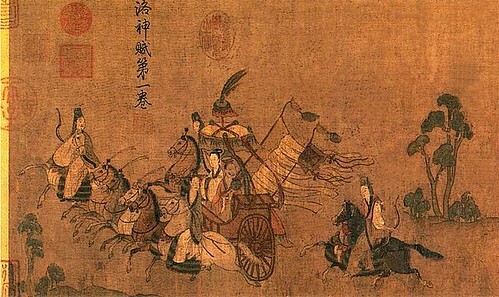 Later he was promoted to a royal officer (Sanji Changshi, 散騎常侍). 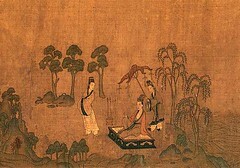 Gu Kaizhi wrote three books about painting theory: On Painting (畫論), Introduction of Famous Paintings of Wei and Jin Dynasties (魏晉勝流畫贊), and Painting Yuntai Mountain (畫雲台山記). He wrote, "In figure paintings the clothes and the appearances are not very important. The eyes are the spirit and the decisive factor." 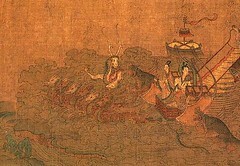 Gu's art is known today through copies of three silk handscroll paintings attributed to him: Admonitions of the Instructress to the Palace Ladies (女史箴圖), Nymph of the Luo River (洛神賦), and Wise and Benevolent Women (列女仁智圖).